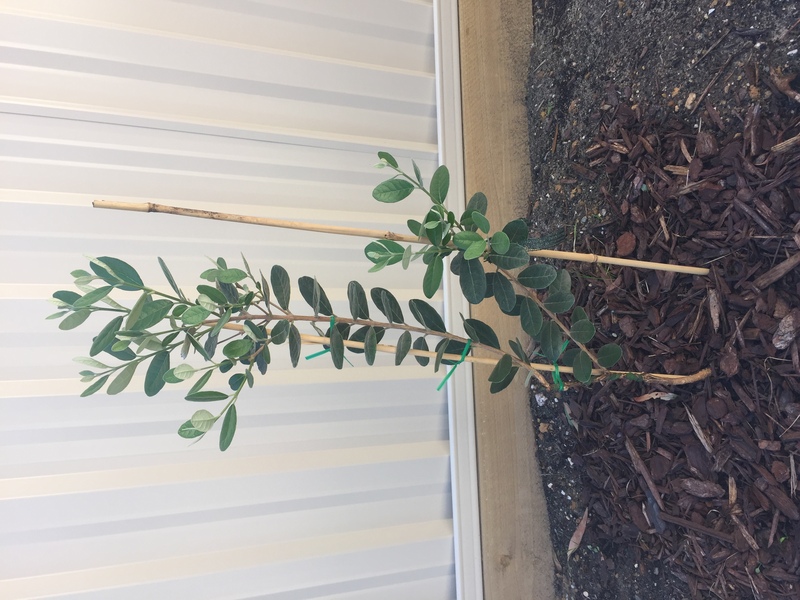 Pride in something you have grown your own it's amazing knowing that soon i'll have my own feijoa trees fruitting! 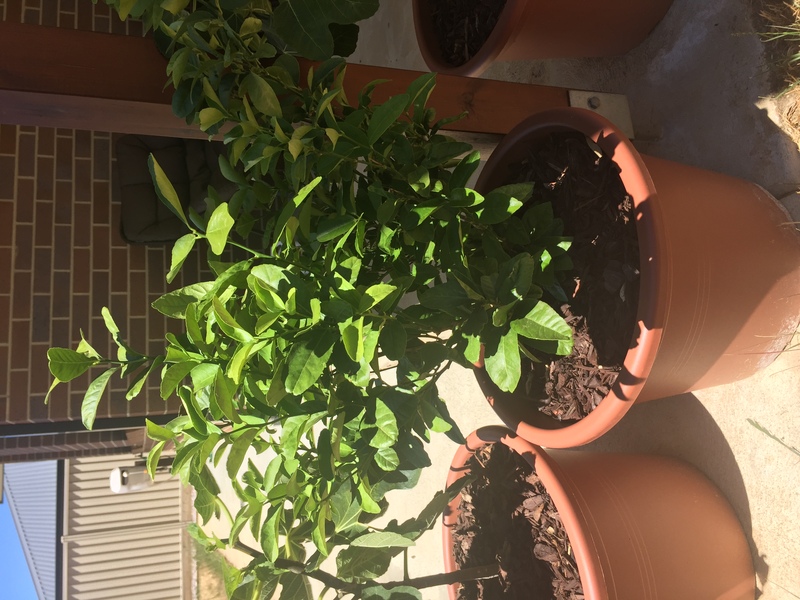 I hope anyway :) it's a lot cheaper than buying from the supermarket and i can enjoy them in my own backyard how awesome. 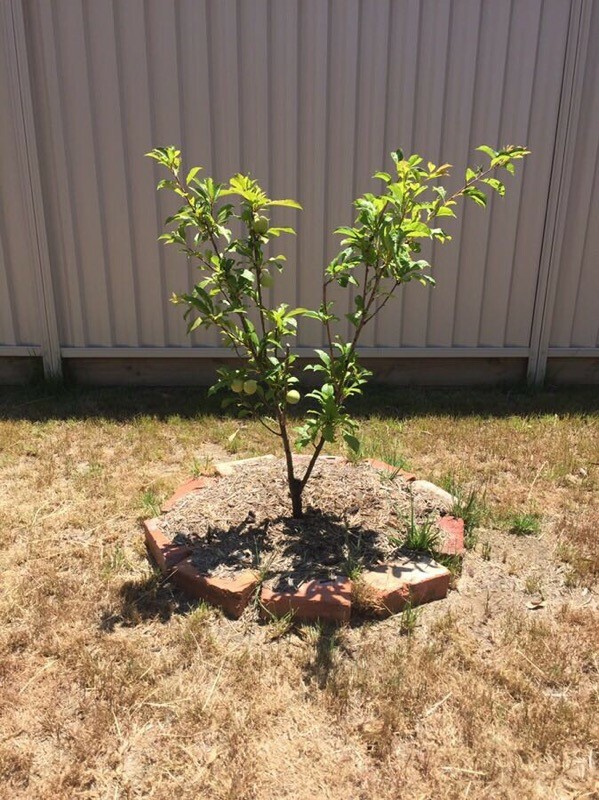 Comments: - Love nectarines but the ones at the shops are blegh. 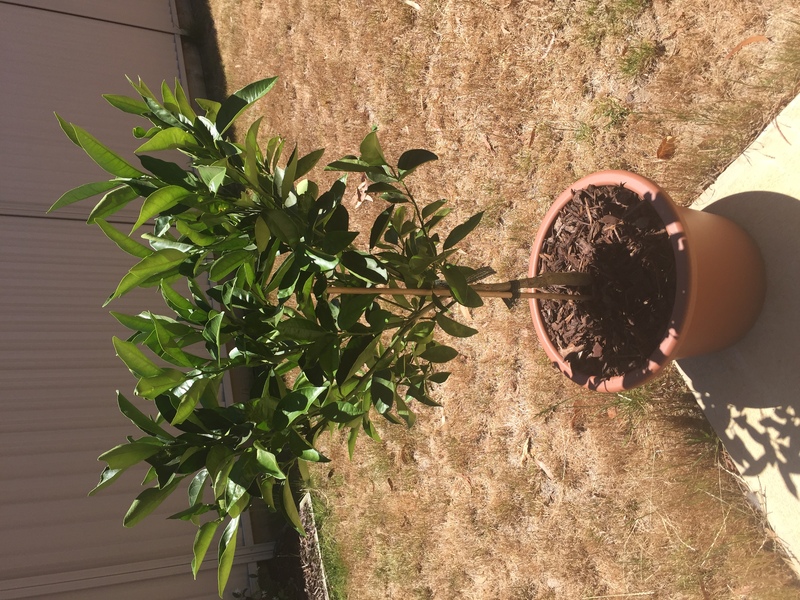 SO here i go again with this addiction! 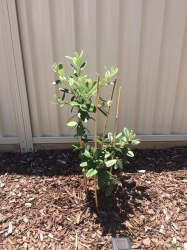 Hoping to see fruit next year but i don't see any buds forming for that. 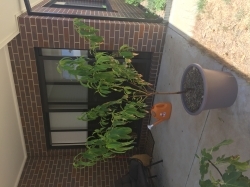 At the moment though a lot of lovely growth so i've had to prune it this summer for it's first summer. Lost a lot of leaves due to the hot sun so will be changing it's position in the garden for morning sun. 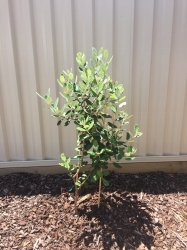 Question: A lot of ants love to run up and down this tree and nibble on parts of it, i've used some tree glue at the base to stop that but theyre tricky and find a way up is there any harm? 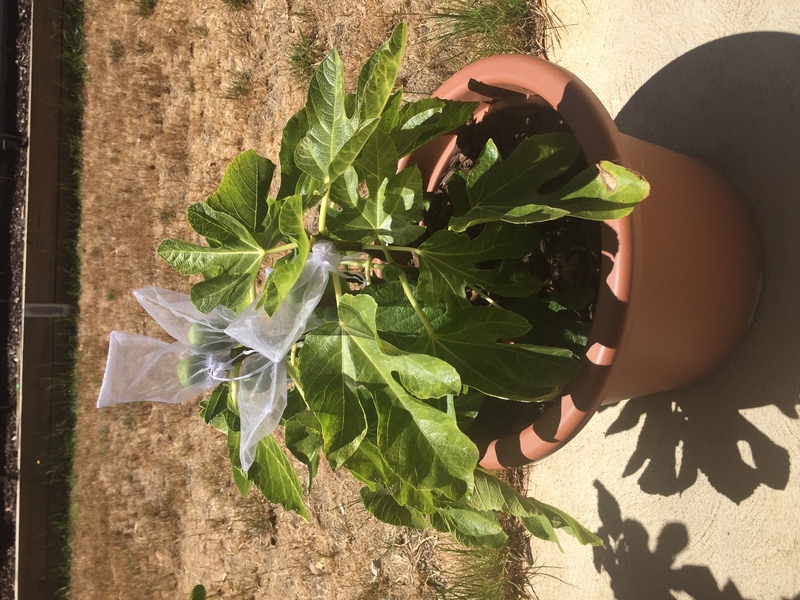 Comments: - I've actually never had a fresh fig before so i'm excited to see what the fuss is about and it already has some growing. 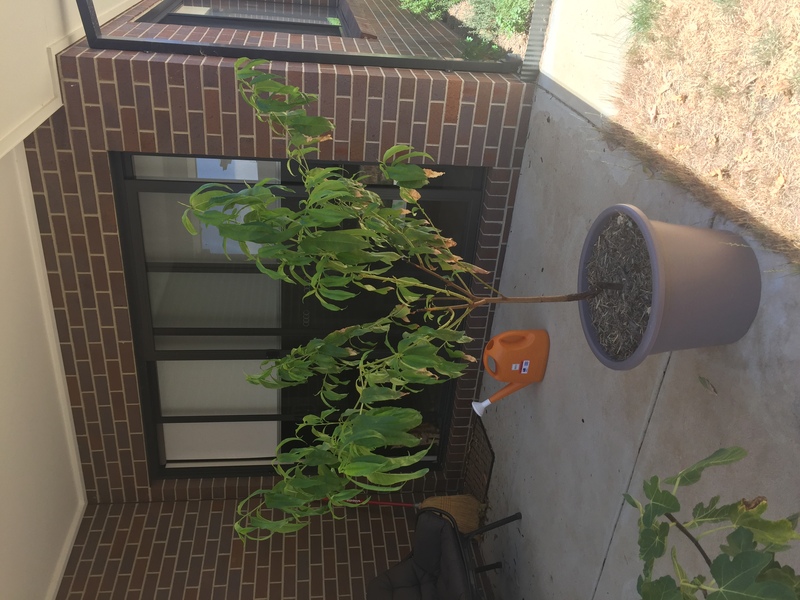 I do need to water this daily as its been very hot here. so close to picking one of these figs to eat! just passed the firm stage and there is a little give in the skin i hope theyre not dry on the inside i'm watching them like a hawk! 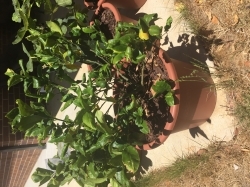 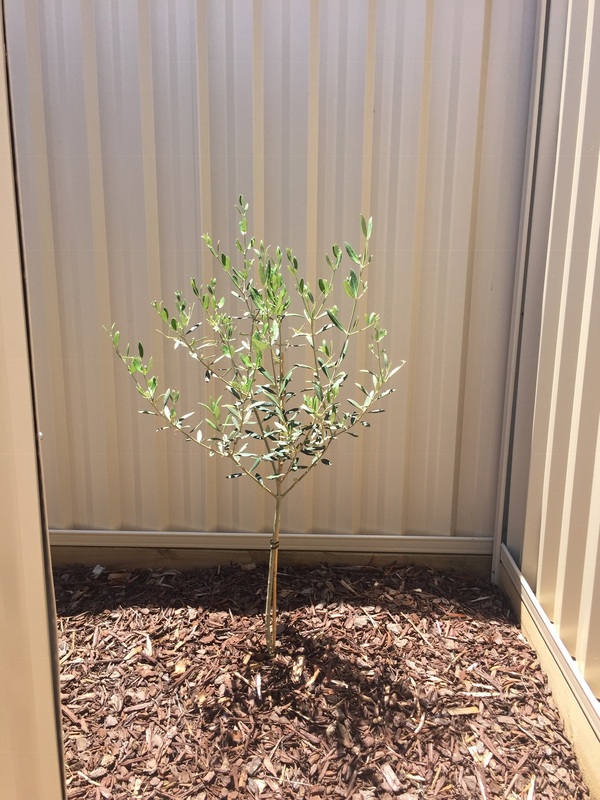 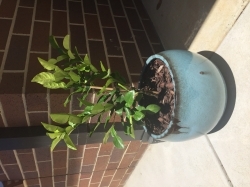 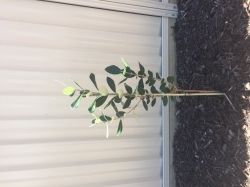 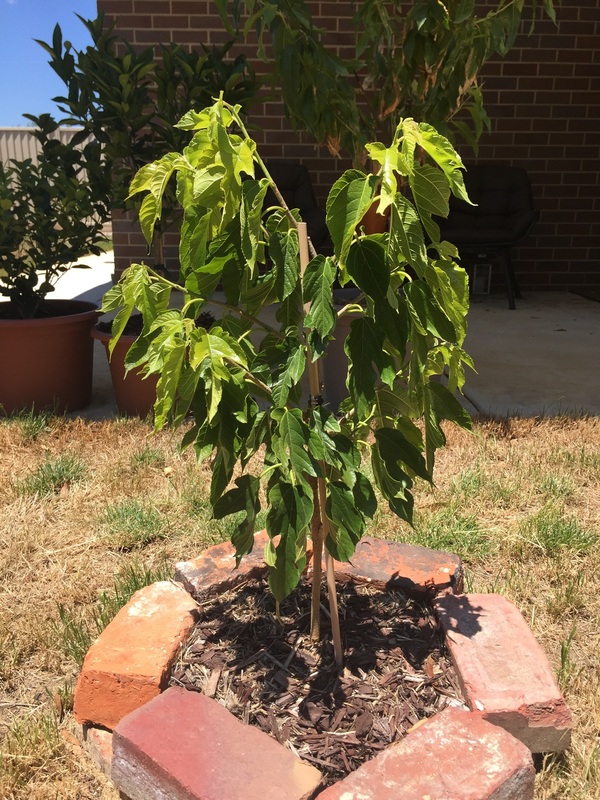 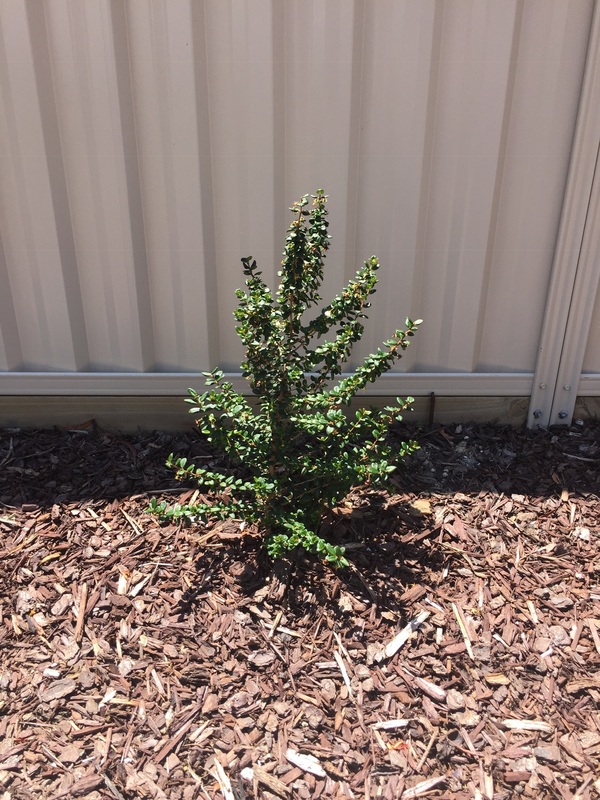 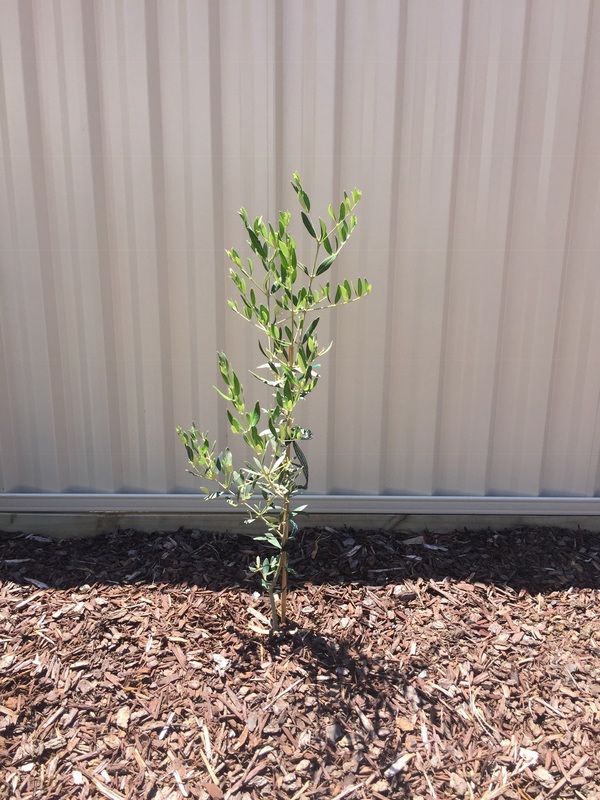 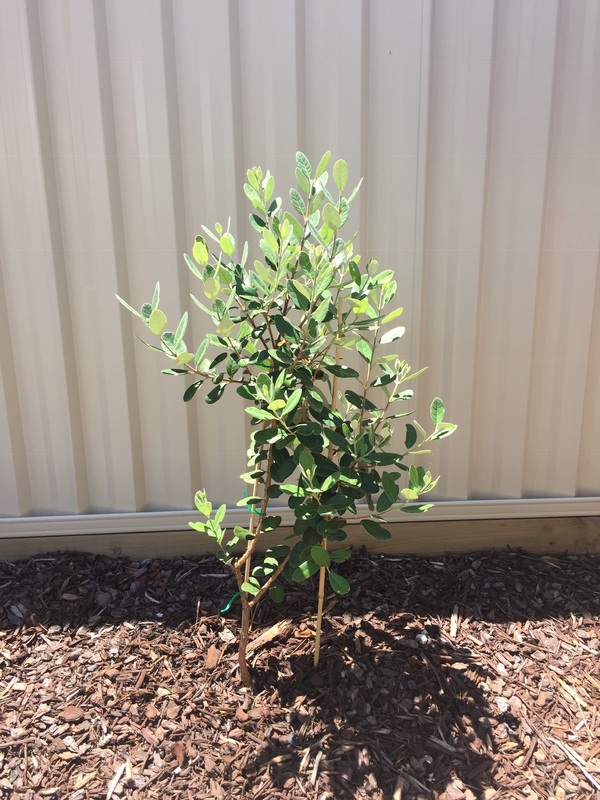 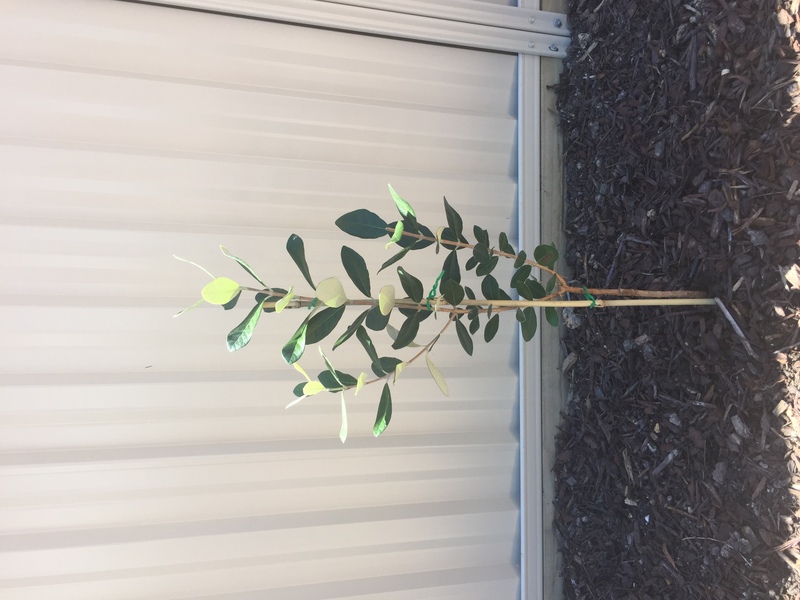 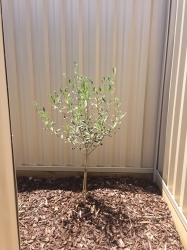 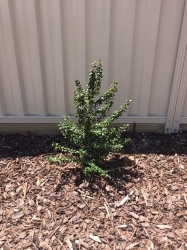 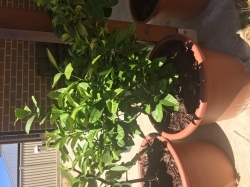 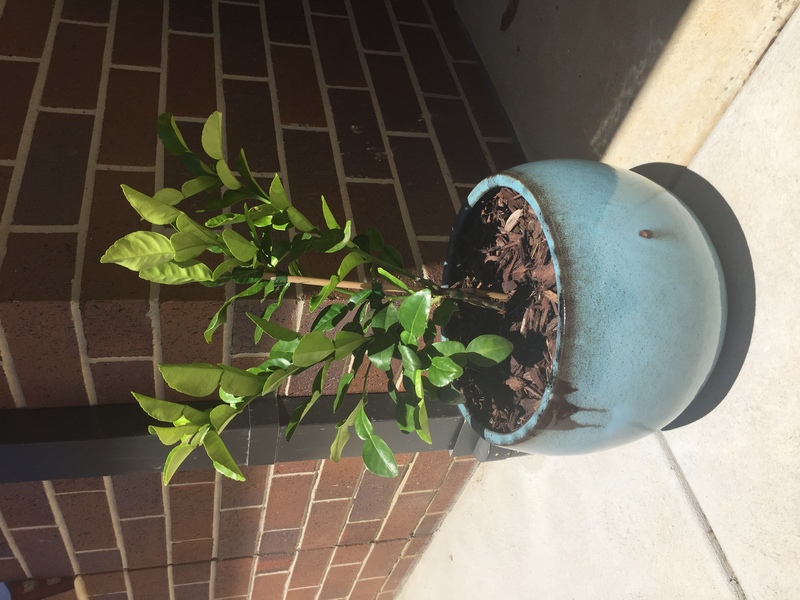 Comments: - This is a dwarf Bay tree should only grow to 2m if that so i thought i'd plant it in my little herb garden, it gets hot afternoon sun and loves it. 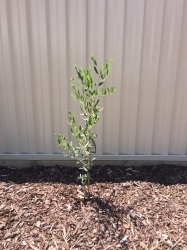 My fave in my garden! i can't wait untill all my trees are mature and give the grass infront some shade as it's a very hot spot in summer. 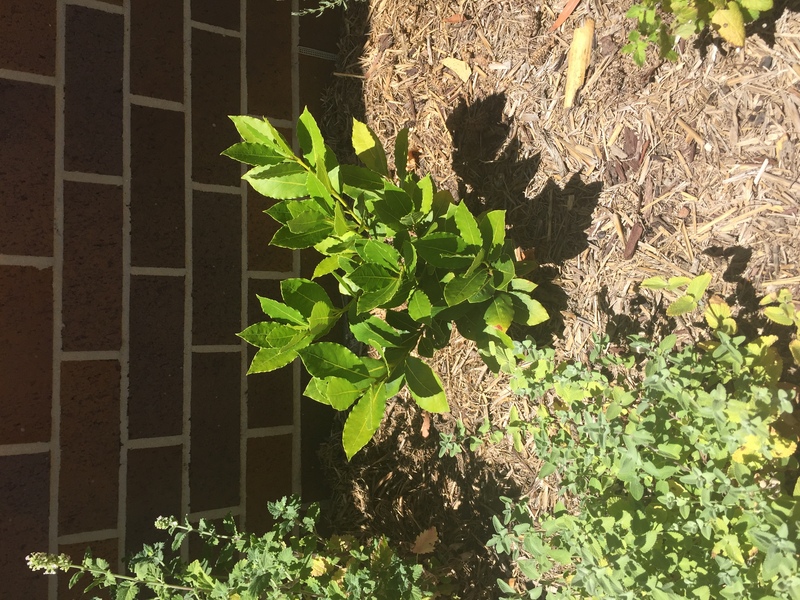 Question: how long will it take to grow rougly 2m ? 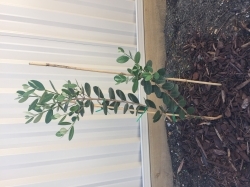 should i cut the lower branch off so it can focus on it's upper growth? 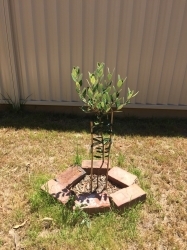 Flowered 1 year after purchase and i currently have 3 little feijoas on it this tree is doing wonders in my garden loves the afternoon sun and survived 41degree day only losing 1 leaf to sunburn. Question: strange graft it's a bit slanted so hopefully itll bush out a bit, any ideas on how to make it more bushier when its growing? 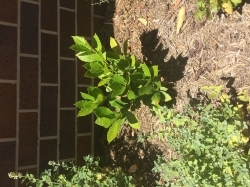 Comments: - Would love to try this fruit, fruited in spring but all dropped due to young age. 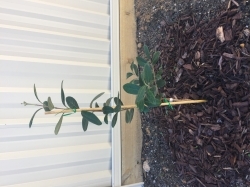 It's growing very nicley and will great shade tree for summer.